Brushing your hair is like drinking water, it comes naturally. But the way you do it can be the cause for hair damage. Are you sure you are brushing your hair the right way? Did you ever stop and think about how to brush your hair? Yes, there is a right way to brush your hair too! If you are suffering from hair loss, hair damage and split ends, it may be time to start paying a little attention to brushing your hair. Apart from being the one thing that you do every morning and night, it may be the number one cause of hair damage. So what's the right way to brush your hair? 1. Don't over brush your hair. 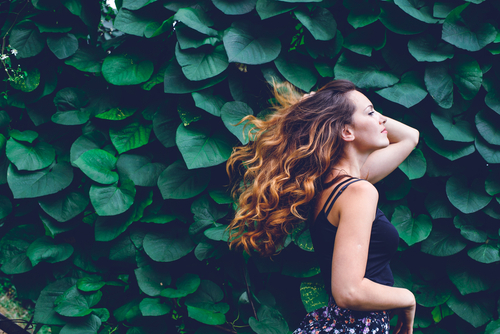 It's true that brushing your hair is good for the health of your scalp and hair but how often should you be brushing your hair? It entirely depends on your hair type. Brushing your hair once or twice a day to get the tangles out is usually enough. 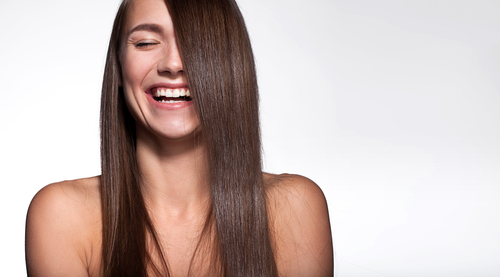 Over brushing will damage your hair and make it more prone to breakage. Understand what your hair needs, if it needs to be brushed once a day it's okay too. 2. Straight or slightly wavy hair? You're in luck! Slightly wavy and straight hair is the easiest to groom. This hair type is not prone to get entangled too much which means you can either brush it while it's wet or wait for it to dry to brush it. If you're brushing wet hair, remember to add a hair serum to your ends before you brush it. This will protect your hair from damage and it will help the comb or the brush glides smoothly through your strands. If you are brushing dry hair, use a paddle brush and start at your roots and comb downwards, this will ensure that the oils from your scalp distribute evenly to your lengths and improve blood circulation on your scalp. 3. Curly and wavy hair? Brush only when wet! Curly and wavy hair can get tangled easily, brushing it when it's wet it the best way to keep it tangle free. Apply some hair serum or leave-in conditioner on the lengths of your hair and use a paddle brush or a wide tooth comb to brush through. When your hair dries, it's more prone to breakage from hair tools because they aren't flexible. Chances are your curls will get trapped in the brush and it will weaken your hair. 4. A heat-protectant is non-negotiable. 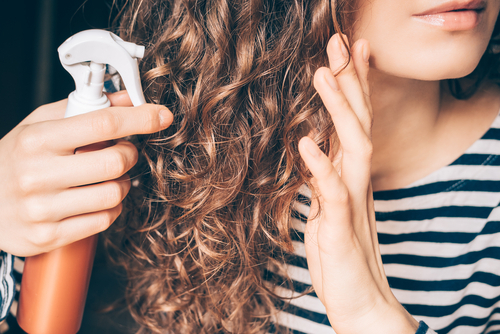 No matter what your hair type may be, if you are going to subject your hair to heat styling - don't skip a heat protectant. It creates a protective layer on your hair that protects your hair from excessive heat and breakage. 5. Clean your hair tools at least once a month. 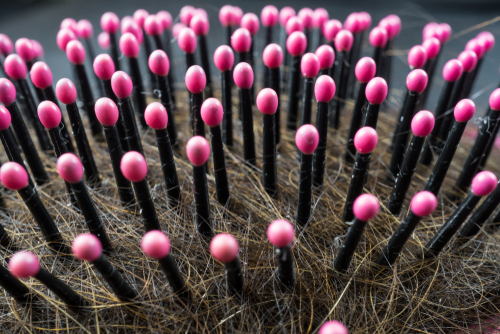 Much like a beauty blender or a makeup brush, your hairbrush and comb also get clogged with bacteria, product build-up and dust from your hair. If you won't clean your hairbrush properly, might as well stop washing your hair too. Because you will be putting back all the gunk from your brush onto clean hair. Submerge the brush in a shallow pan with warm water and dish soap or shampoo. Wait a few minutes and begin scrubbing. I recommend using a toothbrush since it makes getting into corners and bristles easier.